Shades of blue this week with something for the purist and a couple of tracks that lead the blues off in interesting directions. We’ve got news of CMJ – of particular interest to artists. So if you’re thinking you might try for an official spot this year, listen up and be ready to act to save a few dollars. It was a delight to have Codger back with us last week. This week we’re back to what might pass, in a poor light, for normal. Just you, me and a bunch of interesting music from around the world. 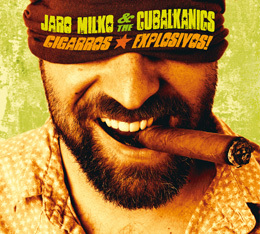 Jaro Milko & The Cubalkanics is the solo project by guitarist Jaro Milko. The band from Basel was founded in the end of 2010 and brings together renowned musicians from the Balkan-­‐, Reggae-­‐, Latin-­‐ and Jazzscene in Switzerland. Eastern european Gypsy music meets Cumbia and Musica Cubana, Instrumentals interspersed with songs. There’s a point where the rhythm of the cumbia, the sound of Cuba and Balkan music all come together. And it’s right in the heart of the Jaro Milko and the Cubalkanics. It’s a place without borders, wild and wonderful; it’s Milko’s creation, where surf guitar, Cuban son and the powerful hit of Gypsy brass dance side by side. The five-piece Swiss band fuse his vision into a unique, delicious whole on their debut Cigarros Explosivos! (released March 28th, 2014 on Ashpalt Tango). Sophie came to my attention via a rather unusual route. Invited to the press night of the latest production by the ever-excellent Eastern Angles theatre company, I noticed a particular talent. 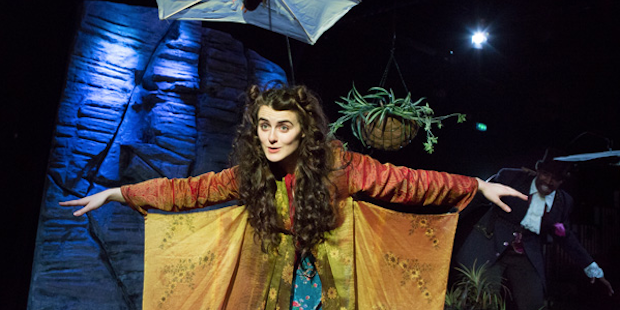 The show, The Brontes of Dunwich Heath (& Cliff), is the improbable tale of shenanigans and kerfuffles on the Suffolk coast entailing the cousins of the “other” Brontes, unscrupulous property developers, 19th century hang-gliding and bigamy. A very clever, romp of a show which shoes off the talents of the entire cast. 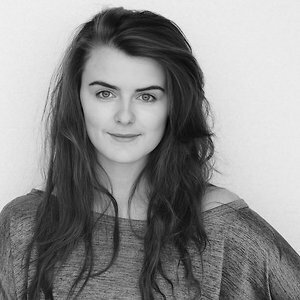 Meeting said cast after the show revealed that Sophie Reid who plays “Mad” Cath has a fledgling career in music. As you’d expect, I checked it out and was really impressed by what I heard and saw. Sophie’s music is a delight. Her vocal range is astounding. So far so good but what tips her into the realms of really worth taking note of is her ability to communicate. Way too many singers simply don’t seem to recognise that whilst they may be singing the song, there is an audience to reach; they project their performance no further than the microphone thus leaving the audience merely watching as passive observers. Take a look at the video for Walking Song. There is a performance that doesn’t just get to the camera, it passes straight through and into the head of the viewer. I don’t know if that is a skill, an attitude or a technique but whatever it is, it is hugely to Sophie’s benefit. A pianist by training and a recent convert to the ukulele, Sophie is pulling some songs together for an album meantime, there are a few massively diverse offerings on her Soundcloud page from standards such as The Way You Look Tonight to A Freddie King blues recorded live in Brighton. Most definitely an artist to keep an eye on. I’m sure we’ll be hearing more. Perhaps Gramatik’s most ambitious record to date, TAOR is an amalgamation of samples and live instrumentals so varied it’s like nothing heard ever before from himself, nor fellow producers alike. A master class through each individual track, he harmonises elements of soul and blues with rock and hip-hop, by way of dubstep and electro and all the way back. Out now and free to download through file sharing forerunners BitTorrent comes Gramatik’s hotly anticipated LP, The Age Of Reason. After a year hiatus from a full-length release, the 15-track album is the delivery his cult and devoted fan base have been waiting for, and with BitTorrent by his side, it’s also the message he has been working to ingrain throughout his illustrious career. Not only a stunning and diverse journey through a range of unique sounds, The Age Of Reason seeks to create a dialogue of “freeing music by making music free” amongst the business and public alike so go ahead and grab it HERE as a free download via BitTorrent. 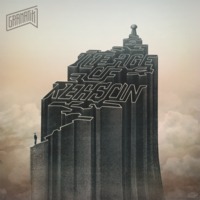 The Age Of Reason marks an incredible start to the year for Gramatik and in characteristic style it’s not long till he takes the record on the road. To hold us over until then, the full lineup is revealed for Gramatik’s headlining performance at Red Rocks on May 17th, including ten-piece funk band, Lettuce, plus Lowtemp labelmates Exmag, Branx, and Gibbz. Fan club presale tickets will be available this Wednesday, January 29th at 2pm EST, and general admission tickets go on sale this Saturday, February 2nd, at 12pm EST HERE. Magness’ fame has been hard won. 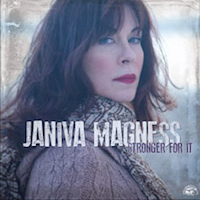 Born in Detroit, Magness was inspired by the blues and country she heard listening to her father’s record collection, and by the vibrant music of the city’s classic Motown sound. By her teenage years, though, her life was in chaos. She lost both parents to suicide by the age of 16 and lived on the streets, bouncing from one foster home to another. At 17, she became a teenage mother who had to give up her baby daughter for adoption. Over 1,400 musicians swarmed various New York City venues this past October. Fortunately, there were thousands of music fans and industry figures there too, so it made it all worthwhile! It’s happening all over again this year. If you long to be one of those up on stage, your name in lights (or scrawled on a flyer), amps buzzing, your hair swaying freely in an imagined breeze, now’s your chance. Artist submissions for CMJ 2014 are now open! Submit (via SonicBids) to be considered for this year’s festival which runs October 21 – 25. There is a submission fee of $25 until Thursday, then it goes up to $35 until April 10 when it’s $45 until the submission are closed on June 25. So best get it done asap. 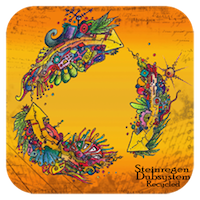 Steinregen Dubsystem is a mix of a band and a DJ-Soundsystem from the city of Freiburg in Germany. We combine digital techniques (arrangement with Ableton live) and instruments played live like trumpets, guitar, vocals, bass, percussion, accordion and many more. The Sound is a mix between steppers dub, electro, dub(step), reggae, jungle & balkan. The latest offering through the LCL net label is Recycled, a compilation of 17 remixes made of the audio material of their previous album “Roots and Leaves” by producers all around the globe. I spotted it via Pete Cogle who played it on PCP 455 last week. Wave 1 is the first new transmission the world has received from New Jersey producer Seth Haley since his gloriously futuristic debut album Galactic Melt. That album cataloged the genesis and evolution of Haley’s alter ego Com Truise. 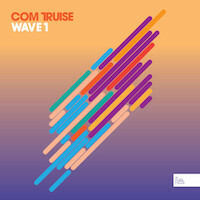 Com Truise is one of the many personas of producer and designer Seth Haley, born and raised in upstate New York and operating out of a 12’-overrun apartment in Princeton, New Jersey. An admitted synth obsessive, Com Truise is the maker of an experimental and bottom heavy style he calls “mid-fi synth-wave, slow-motion funk”. Wave 1 builds on Haley’s signature production style, one that’s rooted in classic sci-fi sounds and analogue textures but nevertheless manages to sound utterly contemporary. “Subsonic” is full of dramatic grandeur, marking the moment at which the EP’s initial rush of energy subsides into dramatic, slow-building textures. The track evolves through several movements, and is full of evocative electronic textures (along with one hell of a squelchy bass sound). Tour dates are scheduled from Feb 11 (Le Belmont in Montreal) which take him on a grand (and very intense) anti-clockwise tour of the US including the west coast, back across the south and up to the final night at Bowery Ballroom in New York on March 15th with only four nights off in over a month of touring. Haley’s been making music on the side for roughly a decade—going through pseudonyms like toothbrushes (Sarin Sunday, SYSTM, Airliner)—first as a DJ, and currently, as an excavator of softer, window-fogging synth-wave. Having been around a few labels to date, he’s now comfortably situated amidst the Ghostly roster, and prepping his next warped pillage, and hopefully not changing that name again. Award-winning and critically acclaimed composer and sound artist Michael J. Schumacher is a Juilliard graduate who has made profound innovations in the realm of sound as art. He’s had installations placed internationally and, perhaps, is best known for his Diapason Sound Art gallery in New York City—which he founded and directed from 1996 to 2011. But before uniquely exploring the boundaries between music and gallery art, Michael began his creative path as an unbridled rock guitarist, jamming with his friends and reveling in the primal pleasure of loud, aggressive music. It’s taken him years to connect those foundational euphoric moments with the bravely artful music of his life’s work. 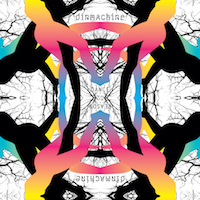 With the stunning debut from his diNMachine project, Dance to Reason (Yocto-Yotta), he has found the bridge between the music that made his body move as a kid and the soundscapes that challenge his mind as a composer. Dance to Reason is a boldly creative album, spanning dense ambient layers, hypnotic grooves, shards of noise, a music as art/music as humor paradigm and gorgeous dance floor bliss. The whimsical “Lpse” addresses the man/woman thing with cleverly placed TV ad samples and an arrangement arc focused on moments of sensual tension and release. News of CMJ. CMJ that means ? CMJ is the initials of College Music Journal, the trade publication for college radio in the USA.